Children that are placed in adoption or foster homes often experience conflicted emotions with regards to their past. They may not express it all the time, but the uncertainty of the future coupled with stress related to current events can work towards making the child feel overwhelmed. Through adoption and foster care therapy, it is possible to explore these issues with your child. Even those children taken into loving and caring homes, often experience stress related to life events and find it difficult to cope with moving on in their lives. It is important to engage them in an atmosphere designed to help them recover from past traumas , and adoption and foster care therapy can do that for them. Understanding where the children come from in their past can provide a clearer perspective on the issues they deal with on a daily basis. It is often the parents who cannot afford to raise a child, or those who believe that their child would be better off with someone else – are the ones who give their children up for adoption. Similarly, children placed in foster homes are often taken away from neglectful parents by Child Protective Services. While some of these children do find placements long term with a loving and nurturing family, most of them move from institutions to group homes, or between multiple foster families, until they grow old enough to leave the system. And not all foster homes are pleasant either – sometimes, it is possible for an adult in the foster home to abuse the child. A study revealed that one in three alumni of the Child Protective Services program said that they were abused at least once by an adult in the foster care system. A child can face abuse in multiple homes as well, and with the high case loads the Case Worker has to deal with, they may not notice the signs of neglect as well as abuse. Sometimes, a report that this is happening is also not provided, thus showing no evidence that anything is wrong. Due to the high number of placements and transitions a typical child may experience prior to finding a long-term home, attachment issues and related concerns are common. In addition, some children may exhibit serious behavioral issues as a result of early trauma and a lack of structure and consistency in their lives. These behavior problems can impact the entire family system and may also result in increased placement disruption in foster or adoptive homes. 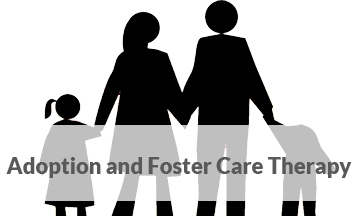 Adoption and Foster Care therapy places the child in the same room as a trained counselor who specializes in resolving any issues the child might face because of their turbulent past. Often, children in adoption and foster care homes experience distress related to not knowing who they are or where they come from. There is a need to help them explore their identity and help them realize that they are entitled to a good life. Sometimes children who are placed even in happy homes, still continue to fantasize about their biological parents and siblings. As a result of this, they might become oppositional, angry or anxious. Exploring relevant issues related to both their identity as well as their past can help to resolve this matter. And therapy and counselling could provide a safe place to vent their feelings and express themselves. The environment will be confidential as well, ensuring that they feel safe and secure as they walk on the path towards recovery. Therapy is generally recommended for families seeking to foster or adopt a child. In therapy, a family can prepare for any issues that might arise, and learn how to cope with a child's particular or special needs, including any behavioral or health issues. With the child, they can discuss any concerns about behavior or developmental issues and work as a family to establish bonds and trust. Families who adopt or foster a child with significant behavioral or developmental concerns may find their situation challenging and consider giving up the child once again. Some of these issues may be resolvable with work in therapy, preventing further disruption to the child's life.